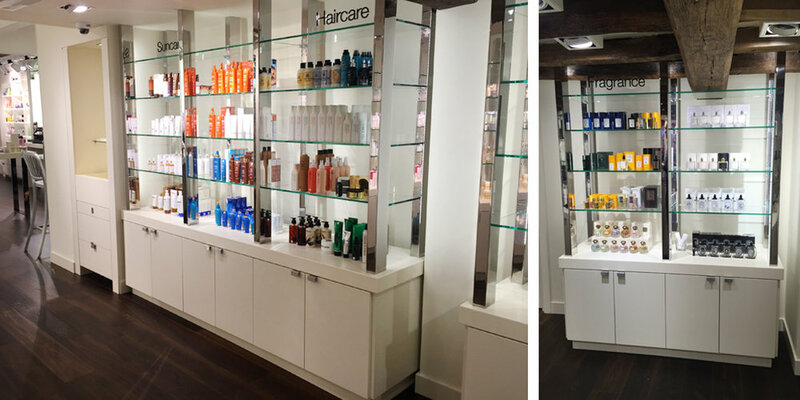 We are thrilled to share some photos of our latest project with Space NK. We have been working on store planing and spatial layouts and this store was a real pleasure. The old building features are an important part of the interior and have been showcased between product displays. The central double height atrium has been illuminated to highlight the existing architectural beams. The dark wood contrasts against the clean white merchandise displays, playing with the old and new and allowing the two sit in harmony alongside each other.